Xiaomi Mi 8 Lite unveiled Mi 8 Pro on September 19th, both of which come with a premium design. While the Mi 8 Pro is a Mi8 flagship, the Mi 8 Lite has a modest position, with its affordable price pointing out. 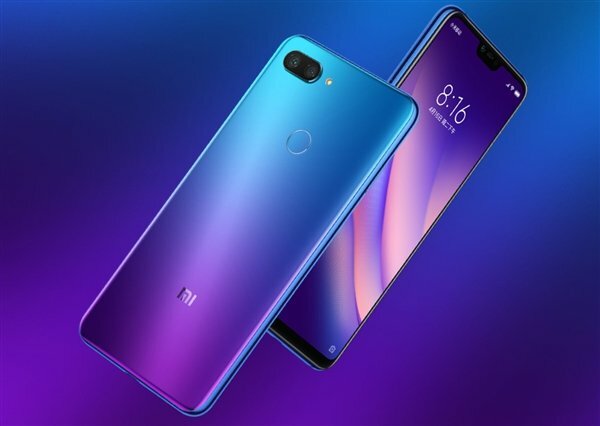 Mi 8 Lite is also the first Xiaomi smartphone with a gradient glass design. It has gold, blue and gray colors. All three colors use gradient colors. Xiaomi now has a spectacular look at the Mi 8 Lite rear panel. Depending on the short video shared on the Miaopai platform, the rear panel of the Mi 8 Lite is actually a translucent glass when it comes out of the device. This makes it wonder how this transparent glass can look like a colored glass when placed on the Mi 8. The Chinese company has explained that the glass panel of this handset has a number of small coatings that create a nano-scale of varying thickness on the surface. This design is based on the refractive properties of the glass, so that when the light hits the glass, the rays are dispersed using optical properties such as interference, absorption and dispersion to show us the gradient color. When it's free, it's a clear transparent glass, but it's gradient blue when placed on a sheet of cardboard. This principle applies to all three types of gradients in the Mi 8 Lite. Despite the glass panel on the back, the Mi 8 Lite is only 7.5mm thick, which means that the glass is not too thick. If you do not believe this, Xiaomi said to try to confirm the back panel. However, it may not be a good idea unless you have special expertise in this field. To prove this, see the short video below.